Nice cool late summer evening last night with temps falling into the 30s. 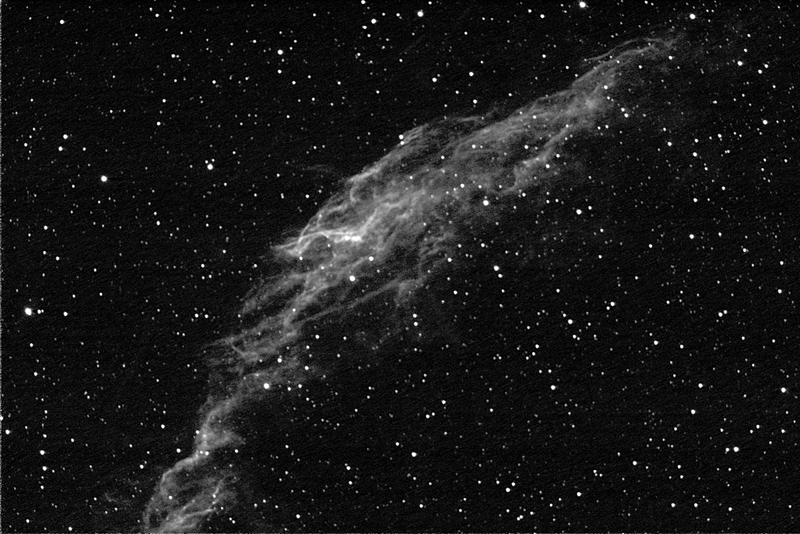 The sky was crystal clear, so among all the activities of the open house and visiting students, I got the robotic telescope aimed and snapping shots of the Veil in Cygnus. This is a 32 minute stacked exposure through H-alpha at -10C. There was extensive processing done in MaxIm DL and Photoshop to bring out the detail, hide the noise and make it the nice pic it is. I think it could easily take another 4 hours of integration time to really bring out the full glory of this splendid nebula.